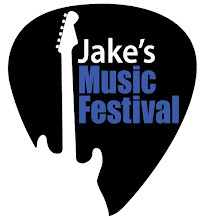 The 11th annual Jake's Music Festival happens tomorrow night. Doors at Wealthy Theatre open at 5:30, music starts at 6:00. Come for one band or stay for the entire show. We'll also have a silent auction, photo booth, free giveaways, craft beer and much more. Click the tabs above to see band photos and the line-up for tomorrow's show. Remember 100% of all donations go directly to the Juvenile Diabetes Research Foundation. "This one goes to 11." Even though Jake's Music Festival is a free show, it is a fund raiser for the local chapter of the Juvenile Diabetes Research Foundation. Beside donations one of the ways we raise money is with the silent auction. We have some really great items up for bid this year. 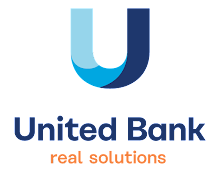 Plus, every winning overbid (bidding more than the stated value) will receive a certificate good for computer virus removal from PC Specialist ($125 value) and a $5 gift certificate to Twisted Rooster. In addition there will be a photo booth to capture your memories of the evening and a temporary tattoo booth. AND we'll be giving away free appetizer coupons for Tip Top Deluxe, free haircut coupons to SportsClips and free mini cupcakes from Connie's Cakes. Doors open at 5:30 p.m. Show starts at 6:00 p.m. See you Saturday! Otis Blueswell Jr. will be making his third appearance at Jake's Music Festival. He recently performed on local radio program Local Spins Live with John Sinkevics. Here's his performance.